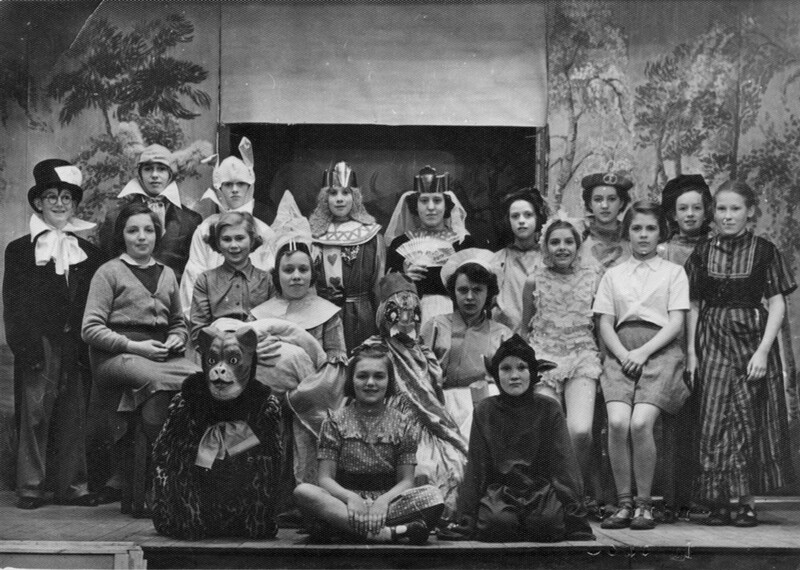 A youth drama in Bottesford – may be a school, youth club or Gang Show production. Back row, LtoR, George Bolland, Michael Barratt, John Bradshaw Frank Mumby, Brenda Culpin, Barbara Fisher, Dorothy Bend, Ann Dunsmore. Middlel row, LtoR, Ann Hill, Joy Bagley,Sheila Mumby, Pat Taylor, Margaret Fisher, Irene Young, ? . (The cat,) Angela Bradshaw, Ann Ducker, June Mumby.